Rambling Rican: Official Sasuke 29 announcement! Tonight we got confirmation for what we've been hearing brewing for the past couple of months. A new Sasuke tournament is returning! Director Masato Inui 乾雅人 is returning to direct another tournament. Returning to numbers after a break calling it Sasuke Rising, Sasuke 29 is officially slated for "Summer". At this early date we are still not sure when it will be recording in Japan. That said, it's good to confirm a few things. TBS created a page for Sasuke 29 on their website. The tournament name IS "Sasuke 29". There was quite a bit of confusion when Sasuke Rising title came out for Sasuke 28. They are not using Sasuke Rising for this but will be returning to "Sasuke". If history repeats they will just call it Sasuke 2013 in all of the saddle-cloths. TBS website officially calls it Sasuke 29 so all is good! Invites for this tourney will be different than last time. You may remember I was angry with a few notable veterans, like Finalists "Kongu" Kenji Takahashi 高橋賢次 and Yoshiyuki Okuyama 奥山義行 not being invited to the show in Sasuke 28. I hope that doesn't happen again. Fans like myself want to see our favorites return! No new information as to how they are going to sort this out. Once I find that part out I'll post it as well. All the current information is being updated on the TBS Page. I also hope the Sasuke All-Stars will make a return. Even if their presence and focus of the show is different than in the past. They don't have to be the focus of the show. However, they should be invited again. Ratings showed people were angry with the forced retirement so I hope they get to decide when THEY want to leave the show. For those All-Stars who want to return (like Shingo, Takeda and Nagano who've publicly stated they want to return) I hope they are allowed to do so. Fans want to see them! Either way, details to come later on their website as to how they are going to handle the entries. One MAJOR point of note that is both interesting and exciting. Sasuke 29 will be the Japanese Qualifier for the Sasuke ASEAN Open Cup in November in Malaysia (that's actually friggin' exciting news!!). I'm really happy they are going to be a part of this! This also elevates the competition at the Sasuke ASEAN Open Cup to have Japan in there too!!! Ooooooh if I find out more details on the other country qualifiers you better believe I'll post on it! One final note. We know USA is not going to participate in the Sasuke ASEAN Open Cup (which celebrates South East Asia friendship with Japan). NO idea how or if Americans will participate in Sasuke 29. Given that NBC boycotted Sasuke Rising, it is entirely possible NBC is not interested in the Japanese franchise anymore now that they have ANW. For now I'm treating ANW5 as a separate event. If that information changes I'll post it, but for right now NBC has made no announcement on ever sending Americans to Japan ever again. In any case, yay for more Sasuke, and I hope that Inui is paying attention to fan reactions to the competition lineup, since fan favorites do equal ratings. Didn't they announce 28 would be taping in Summer as well, or was that all early speculation? The only Summer Sasuke we've ever had was 15. Dang, that dates way back to 2005. You think they'll push it back? I want all the Allstars to continue going if they want to :) So yeah that includes Takeda who said in 28 he wanted to come back (on camera). LOL I don't want box girl either.. Agreed about NBC.. it's maddening as an American fan having to be subjected to their horrible company decisions. And no 28 was never for summer.. 28 was a friggin' miracle. If it is filmed in summer, hopefully they pick a slightly more temperate day than they ended up with for Sasuke 15. And here's hoping all the Cliffers make it in this time around. The whole summer idea could have the same results in 15 with the whole Bunpei heat stroke insident. Regardless I will stalk this website until I get further info and then results! Damn I love this show! Does anyone know how an outsider (someone not from Japan) can take part? It's darn near impossible to pick a date that won't be hot.. for now I hope it's not crazy hot or during the rainy season..
Hello guys. Got a question. Now that G4 will be defunct. What channel in the US will broadcast Sasuke? Thanks. Teheheh just one gal here :) And I wish I knew.. that's a point of contention that right now no one has any information on. Judging by their silence I doubt Comcast has any interest in the Sasuke license now that they have American Ninja Warrior. ANW is not close enough of a replacement to the real thing. All I know is Levi, Brian, David and Luci and a few others. Plus if it were to truly replace it then I say get rid of the regional qualifiers. I saw the aftermath column, and I must say, I agree with every word of it. I have watched Ninja Warrior (Sasuke) ever since it was introduced to the USA. I always love to see everyone compete, that even includes the All-Stars. 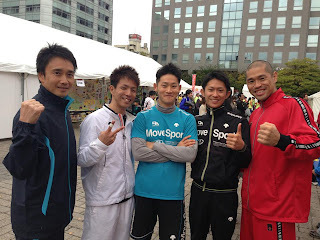 I was confused when I didn't see Okuyama or Takahashi compete. I really believe they would've both done well in Sasuke 28. I really think TBS mostly screwed up the show. They didn't let Okuyama or Takahashi compete, they want to forcefully retire the All-Stars, they renamed the show Sasuke Rising, and stage 2 is just badly designed and made. The 1st obstacle, you can't even see through the smoke. The what's it called? Flippy Salmon Ladder? I liked the Salmon Ladder and Double Salmon Ladder better. I do understand the effort in making the obstacles tougher, but it's not what I expect in presentation. Then only 1 board was used for the Unstable Bridge, and not 2. The Spider Walk is okay. Then the water tank, I mean come on. I thought if you went into the water, or even touched it, you were out. Then you got to lift the final walls (1st and 3rd) while soaking wet, it is not cool. Plus, the 2nd wall, you got to push each half apart to go through, this is not what I expected at all. Stage 2, in my opinion, just not good. Like I said before, I understand the effort in making a hard stage, but it doesn't make way for good presentation. I would've replaced the 1st obstacle with like either the Chain Reaction, Downhill Jump, or Slider Drop, at least you can see the obstacles in action. I do see the " Room " pointless. This includes the " Box Girl ", lol. With the room included in the runs of the competitors, and reactions from the room, it makes a bad showing of itself. I hope and pray that they get rid of that part, and go back to the Sasuke Audience for reactions. I did see that Kenji Takahashi pretty much demolish the tryouts, and still get not get an invite. Let me say, WTF?! I'm sorry about that, but if someone can demolish the tryouts, they should be allowed to compete, especially Takahashi (one of my most favorite veterans). I am thinking of making a video on my Youtube Channel about what I think. I have so much to say, and probably too much here. The ratings plummeted real hard after the All-Stars run in stage 1. I do think that they had intentionally failed stage 1, and some have commented on Youtube about. I mean Takeda, I know for a fact that he knows better than to dismount like that. I was shocked, it was the earliest he ever failed stage 1. 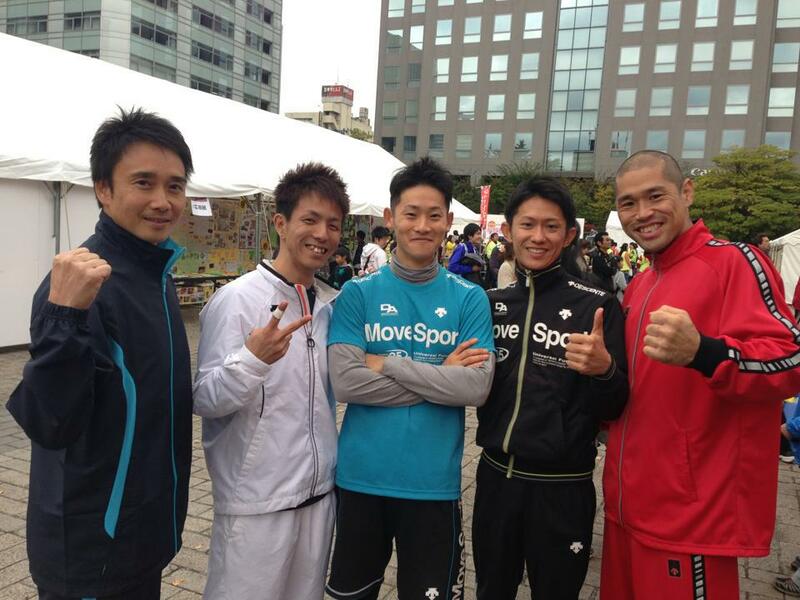 Makoto Nagano, he scaled the 1st Warped Wall no problem, but I was suspicious when he timed out on the 2nd Warped Wall. I mean he went to David Campbell's house to train, and he easily cleared the home made Warped Wall. Akiyama, he can't see, I understand it, plus he rushed. Yamamoto, it can go either way. He grabbed the right rope support on the 4th Boulder to keep himself from going into the water. I don't know if he did lose his balance, or if it was planned so. Yamada, well he's had trouble with the Warped Wall for years, so I think it wasn't planned for a fail, it was just natural. 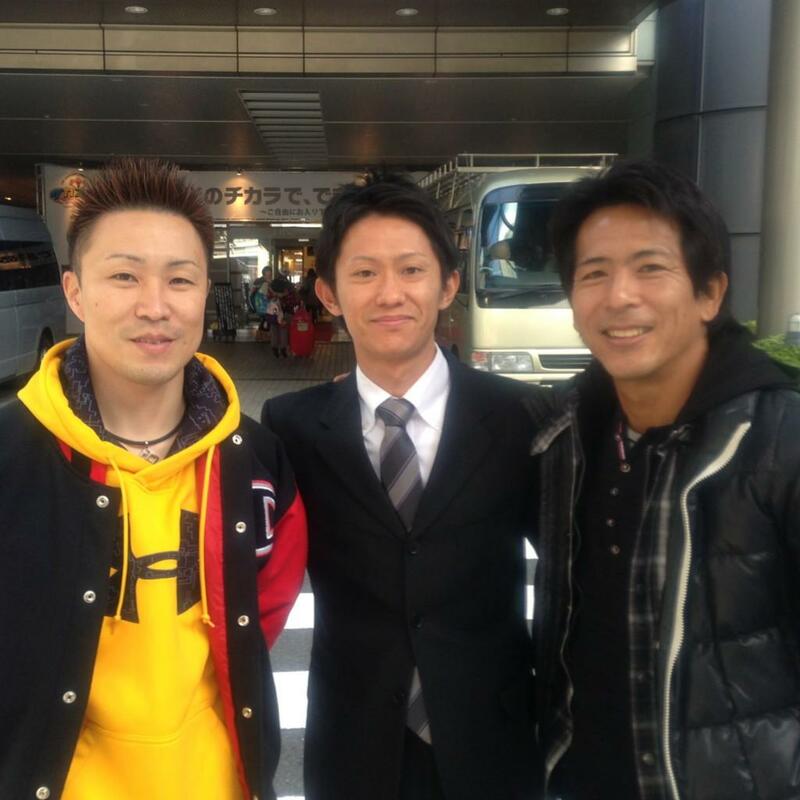 I did see a post on where Takeda wanted to go back to the show, and Yamamoto decided if he goes back, he does too. Plus I think Akiyama wants back in as well, as he broke down in tears after his speech (I did as well, I think most if not all of us did in that emotional moment). Nagano, yeah he probably just decided to not give a speech, I think he either accepted the fate, or was real disappointed with the decision made by TBS. Also, if the All-Stars are gone, that means only 1 champion will still be competing, which is Yuuji Urushihara. I mean I do like seeing Urushihara competing, but where's the excitement going to be without an epic battle between him and the All-Stars? Wouldn't it be something to behold if Urushihara and Nagano made it to the final stage together in the same tournament? Maybe even Akiyama? It would be epic if all 3 made it to the final stage in the same tournament, but most likely won't happen. Anyways, i've said enough about what I had to think about this topic. I hope and pray that the All-Stars will be allowed back to compete for as long as they want. If they are allowed, the ratings will most likely go back up. Think of the viewers. Good luck with your future success with this Blog Rambling Rican. I will be back to check everything out again. my family loves 2 watch the original ninja warrior from japan !!! we still watch the reruns whenever they have them on!!! just today as a matter of fact! !WE WONT WATCH AMERICAN NINJA WARRIOR THEY RUINED IT!!!! elizabeth walker teheheheh agreed. I don't only watch Sasuke (as I don't even have cable anymore) and I much prefer the longer Japanese broadcast since the Ninja Warrior format took out so much.. as for ANW.. eh.. I don't like the production value and I had issues with something specific from season 4 but overall I just skip it. Just as I mentioned before, I don't like that they don't send anyone anymore to the original show. So do you thin people like Levi David and Brian will settle for ANW or do you think they want to go back to the real thing? I know they want to go back to the real one.. but that door seems to be closing thanks to NBC's meddling. It's unfair what they have to go through but they are at the mercy of the corporate machines just like we are.. sadly. I'm expecting 3 of them. We'll see in a few days who was confirmed to have participated this past weekend.